A DFG research unit is a close working alliance of several outstanding scientists who work together on a research task. In terms of its thematic, temporal and financial scope, the research project goes far beyond the funding options available under the normal or priority funding procedure. 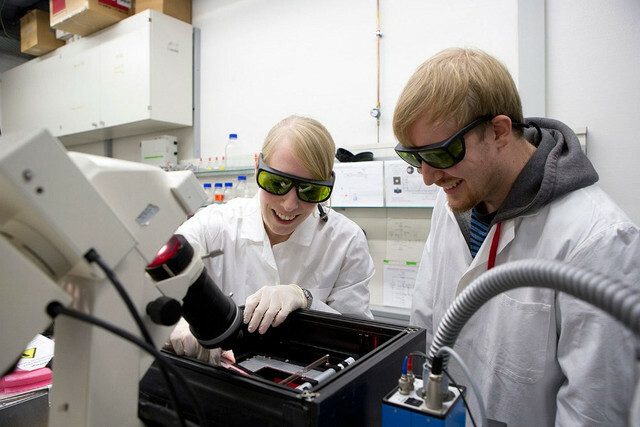 DFG funding for research groups is intended to help provide the necessary work force and material resources for close cooperation in the medium term - usually six years (from 01 October 2018: up to eight years). In their various forms, research units can be integrated into overarching research policy initiatives: The German Research Foundation (DFG) funds and supports clinical research units with the aim of strengthening research networks in disease-oriented or patient-oriented (translational) clinical research and promoting the long-term implementation of scientific research units in clinical institutions. In clinical research units , outstanding scientists can be supported in their medium-term, close teamwork on a particular research task, on which they gain results that cannot be achieved with the action of individual funding. Here you can find out more about the clinical research units at the Cologne Faculty of Medicine.